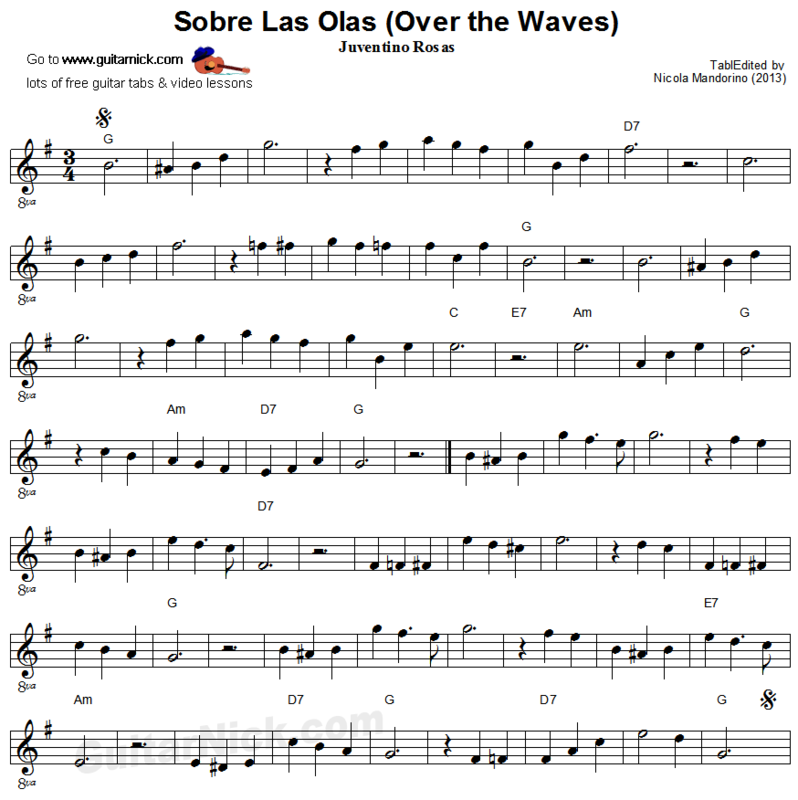 "Over the Waves" is a waltz of Mexican composer Juventino Rosas. It Is one of the most famous Latin American pieces. 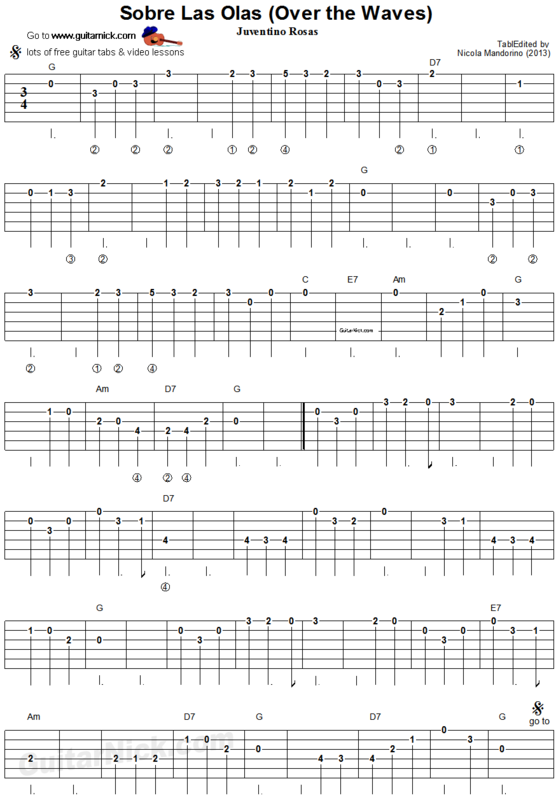 Learn how to play it with accurate tablature for guitar, chords, sheet music and my video tutorial.